What are the best new games to play on an iPhone, iPad or an Android device? We take a look at what is released in the past month and bring you the best new games on mobile with no regards to genre or style. And this month, our number one recommendation is Sid Meier's Civilization VI for iPad. For $30, you get the full game, free of annoying ads and with all the depth of the gameplay that you can expect from the strategy. 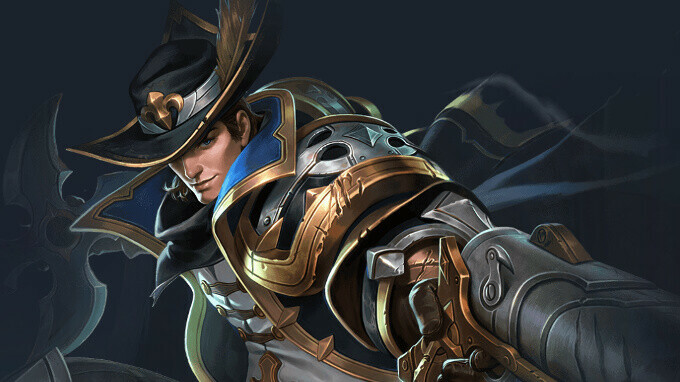 Mobile online battle arena (MOBA) Arena of Valor - one of the most popular games in China - is now localized and there is a few other games that are worth your attention. Take a look. Sid Meier's Civilization VI, the latest turn-based strategy in the series, is now available on the Apple iPad. Civilization VI arrives on the iPad quite unexpectedly, but it is a game that is worth playing. Named best strategy game of 2016 by The Game Awards, Civilization VI is a game about building a civilization that will last through time. You start off the game with the earliest stages of a civilization, back in the Stone Age, and advance it all the way until the modern information age. From war, diplomacy, and development of a culture, Civilization VI is a comprehensive strategy. Arena of Valor is now localized to North and South America and is available on the App Store and Google Play Store. As a MOBA, Arena of Valor pits players against each other in 5 vs 5 battles. One of the most popular mobile games in China, Arena of Valor has up to 80 million daily active users. Тhe localized game offerс players the option to play with some of the most popular DC superheroes, including Superman, Wonder Woman, Superman, Joker, and the Flash. HQ Trivia has quickly become a phenomenon after being released on the iOS since it's one of the few mobile games that allows players to win real money. If you make it to the end of the game and you collect at least $20, you can actually transfer the money to your Paypal account. But how exactly does HQ Trivia work? Well, it's pretty simple. Every day at 9 pm EST and weekdays at 3 pm EST, there are multiple trivia games hosted by a human player. Participants receive a push notification on their phones letting them know to launch the app. Once a question is asked, players have 10 seconds to choose the correct answer. If they get it right, they advance to an even harder question. Rinse and repeat until you make it to the end of the game. SEGA is back with yet another classic game that was launch on the Mega Drive back in the 90s, Gunstar Heroes. Due to the fact that it runs in an emulator, it's pretty obvious that optimization needs a lot of work, something that SEGA didn't seem to bother to fix before launching a game. Developed by Treasure, the game puts players in the role of twin brothers Red and Blue, who embark upon one of the most treasured SEGA gems of all time. You'll be burning enemies using flame-throwers or blow them up to smithereens with homing missiles. Gunstar Heroes features local, cross-platform multiplayer over local Wi-Fi, so Android and iOS users can play each other. Sonic Runners Adventure is now back in the App Store and Google Play Store, and it's now being brought to life by Gameloft, not SEGA. The bad news is the game is not free any longer, so you'll have to pay $2.99 if you want to play it. Sonic Runners Adventure is an endless runner platformer where players can unlock iconic characters, including Tails, Knuckles, each with their own unique abilities. There's also a story mode in which players embark on a perilous journey to save the universe by fighting Dr. Eggman across 4 locations. Bridge Constructor Portal is a fun game where you make and destroy brdiges, and it's a game with a difficulty that ramps up quickly, so you don't feel like you are being held by the hand for the first 10 levels of the game. Its aesthetic nails the Aperture Labs tone. Its physics engine makes the bridge construction (and destruction) a pleasure to observe. Aside from the minor issues with the controls, we would say this is a solid puzzle game and a great nostalgia-tickler for Portal fans. "Become a feared and revered master thief in Antihero, a fast-paced digital board game. Use stealth, cunning, and the occasional assassination to build the most powerful thieves’ guild in this gas-lit Victorian underworld." An original, flipper-like game, BBTan2 by 222% challenges you to find the right angle, and swipe and shoot to win. The game has striking, memorable neon-colored visuals, cool costumes and a few hidden stages and tricks up its sleeve. Hex Commander: Fantasy Heroes is a turn-based strategy game that will put you right in the middle of conflict between humans, orcs, goblins, elves and dwarves. Build a mighty army and lead your troops to victory, using unique skills of your units. Make use of terrain covers and buildings to upgrade your statistics and outwit your enemies. $30 for a mobile turn based strategy game. Give me a break. Please Victor show more AR and VR games. I keep telling you that new AR and VR apps are arriving every week. Well more VR right now than AR, but still you need to show more. AR games are already available on iOS. And if someone has experienced Hex Commander please tell me how it is.